With her FC Barcelona Femení team this season, Spain forward Olga García Pérez helped break new ground in the UEFA Women’s Champions League, and as the one to always keep the tracks spinning for club and country, the 24-year-old hopes this is all just the intro. Closing your eyes, feeling the ball at your feet and picturing one day that you’ll wear the colours of the team you treasure, and in the biggest games, is a scene that any football lover can identify with. It is almost guaranteed to be happening somewhere in the world at this very moment and the fact that the game allows any of us to dream in such a way is as powerful a characteristic as it is precious. Only a very select few will live out that vision within the bubble of real life and it takes so many ingredients blending together to lead you there. From a small-town childhood in Catalonia to the UEFA Women’s Champions League semi-final, Olga García has ridden even further down that dreamland track this year with her beloved Barcelona. When the forward debuted in Europe’s premier competition less than five years ago, there were 1,354 at Barça’s Miniestadi for the last-32 game with Arsenal Ladies. Returning in summer 2015 after two years at Levante UD, she has felt the acceleration of the club’s profile first-hand, with perhaps no better indication of that than the 10,352 who were at the Miniestadi this time for last month’s UWCL semi-final first leg with Paris Saint-Germain. It was an especially proud experience for Olga to play in front of a record FCB Femení crowd and although she has been scoring goals domestically for numerous seasons, there is a feeling that the show is only just hitting the road in a wider sense. 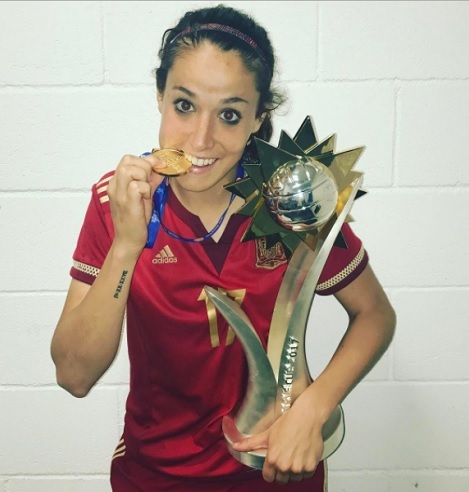 A two-time Primera División (Liga Femenina Iberdrola, for sponsorship reasons) champion and twice a domestic cup winner, she is still to turn 25 and it is only 18 months since she made her senior national team debut. Although the circumstances and demands can vary between club and country, one thing that is consistent is how Olga gets the ball rolling behind the scenes. Replacing Ignacio Quereda in July 2015 to become only the third head coach of Spain’s women’s national team, former Barcelona and Real Madrid youth player Jorge Vilda has introduced a number of young players, and with great success so far. Under the 35-year-old’s stewardship, La Roja won all eight of their group games and led the Euro 2017 qualifiers overall in goal difference (plus 37). It was Vilda who gave former Under-17 and Under-19 international Olga her debut in the 3-0 qualifying win away to Republic of Ireland in Dublin in November 2015, and now she is hoping to be part of a history-making summer in the Netherlands. With her dynamism and scoring ability, she is one of the players you could be seeing rise to the fore in July and beyond. Understanding the rhythm that flows within her is part of learning who she is, and she details this additional outlet for her personality in her own words. “Music is a fundamental part of my life. It helps me concentrate, allows me to isolate myself if I need to, to have a good mood in the mornings when I go to train, to handle the bad times. “It always accompanies me wherever I go. I change every now and then because it depends on the song that I like the most, the moment that I am in, whether it is morning or afternoon, my mood. “In the end, the song depends on many things, but right now I’m very hooked to ‘Despacito’ (Luis Fonsi with Daddy Yankee) featuring Justin Bieber. Also able to play out on the wing, Olga knows how to set the pre-game atmosphere for the team or the post-game party after a win, but she can also come up with a show-stopping moment out on the field. That was exactly what she did earlier this season against Betis as she took a Melanie Serrano throw-in from deep down the left and hit it on the bounce from down the side of the box and over into the far corner. It was a supreme finish from someone who hasn’t stopped wanting to play the game since she was as young as three years old, so she is more than familiar with that performer’s instinct. When it comes to not just listening to music but also feeling it, that is never more strongly appreciated than when you get to witness an artist showing their craft and passion to an audience. What if Olga could see any band or performer take the stage, whether they are currently at the height of their career in 2017, a group who have disbanded, or even an artist who has passed? “I would love to have been able to go to a Michael Jackson concert. He was a genius of music and totally revolutionised the way of conceiving music, promotional videos and new technologies. For both FCB and La Selección, Olga is in the midst of a team growing increasingly stronger, showing more and more how they can compete with the best of them and one day perhaps climb to the top of the tree. Barça had reached the Champions League quarter-finals twice before (2014 and 2016) but this year’s semis were uncharted territory, as well as a very early return on coach Xavi Llorens’ projection of reaching the last four by 2020. Llorens will step down from his role at the end of this season after 11 years in charge, although he vacates the position with the outlook particularly bright all-round for the Blaugrana. The club’s increased backing of the women’s team in recent times has allowed the players to focus fully on their playing career, while headlines have also been made by the club’s intention to have a team playing in America’s National Women’s Soccer League (NWSL) in 2018. Spain, meanwhile, put down a significant marker of their own this year as they won the Algarve Cup. It was their first time participating in the annual tournament and Olga netted the decisive goal in the opening win over World Cup runners-up Japan, before scoring the third later in the group as they blew Norway away 3-0 in the first half. It was a 1-0 win over Olympic bronze medal winners Canada in the final and Olga was able to celebrate the success with several of her FCB teammates, including goalkeeper and good friend Sandra Paños, midfielder Vicky Losada, and attackers Alexia Putellas and Jenni Hermoso. However, if Olga and a select few of her counterparts were to put the chase for football glory aside and step instead into the music world, who would she want with her to record that first official song? Of course, Olga’s true ambition lies in hitting the net rather than the high notes, and her playing association with Barça dates back 14 years. A former youth player with La Penya Blac i Brava La Roca and FC Mataró, she joined FCB in 2003 and broke into the first team in the 2010/11 season while still just 18 years old. She would make a big impact, finishing as top scorer that year with 25 and grabbing the solitary goal of the Copa de la Reina final to beat RCD Espanyol in extra-time. The scoring machine continue to fire a season later, with Olga contributing 22 strikes to a 61-goal combination with Sonia Bermúdez that was a major factor in the team winning the Primera División in the first season of the new standard league format. The league title and European qualification came again in 2012/13, as did the domestic cup, in which Olga had scored in extra-time of the 2-0 quarter-final victory over Rayo Vallecano. She had hit 13 league goals but it would be the last campaign of her first spell at the club before she departed for Levante UD that summer. During that time in Valencia, she was part of back-to-back 5th-place finishes and she believes the move away from home helped her to gain a new level of maturity. Returning to Barça in July 2015, Olga tells of her hometown and how re-joining FCB meant coming back to the area where all her foundations were laid. “Dos Rius is a small town in the Maresme, close to Barcelona. Life there is very quiet, near the beach. “For me, football is everything. 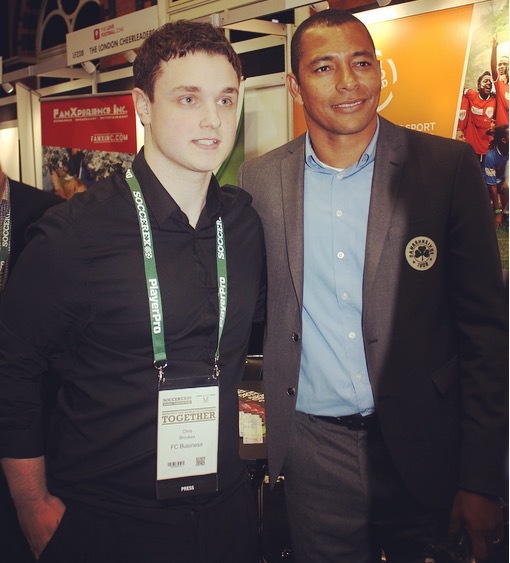 Being a soccer player today is a dream come true. Although Jenni Hermoso led the league in scoring, Barça ended last season in 2nd place, just a point behind Athletic Bilbao. In Olga’s second season back, they are currently right in the midst of a battle with Atlético Madrid for the title, which has gone to the wire. In the penultimate game this weekend just gone, the two played out a 1-1 draw in front of 6,268 at Miniestadi (a league record for an FCB game), with Hermoso rescuing a vital point for the Blaugrana. The two are locked together on 75 points and Barça travel to Olga’s old side Levante next Sunday, while Atleti host Real Sociedad. Olga, who has played at every youth level for the club, is now one of those who people are watching from the stands and looking up to via TV, videos and social media, but there was of course a time when she was on the other side of that situation. As a youngster, the player she used to marvel at the most certainly knew a thing or two about rising to the big occasion when trophies were there to be won. More than that, he was one who mesmerised defenders and fans alike at his wonderful best. The dazzling footwork, change of direction, and an underrated body strength were all part of what made him arguably the greatest individual player around the mid-2000s. Olga explains why this now-retired Brazilian would be her choice if she could have shooting practice with anyone who has ever played the game. “I have always admired Ronaldinho, since I was little. He is and has always been my idol. Just as no two players are entirely the same in their style on the field and with what they do best, neither are the characters behind that. When she is not playing, training, in the gym or fulfilling commitments like her endorsements, what goes down in the world of Olga García. That historic Champions League run this season may have burned out at the semi-final, but Barça’s last action in the competition was in front of almost 20,000 at the historic Parc des Princes in Paris, off the back of their own terrific attendance in the home leg. All going well, the European Championship is waiting just around the corner for Olga, with Iberian neighbours Portugal part of a tantalisingly competitive group for Spain, England and Scotland. Spain coach Vilda believes that an attractive playing style is important for both his team and the women’s game, so it could well make extremely intriguing viewing to chart their progress in the months and years to come. As well as her part in that and club goals, Olga is enjoying all the activities currently filling her calendar and was recently an interested observer in a different ball game, as she was in the capital to take in the Madrid Open. For our final question here, we move from the tennis court to the 5-a-side arena. Just as so many other players from around the world have done so on here in recent years, Olga is asked to imagine herself going to play now in a small-sided game, with her as the team captain able to select four other teammates from any time in her career so far. It is the interviewee’s fantasy scenario so it is entirely their choice as to why they make their selections. As Olga stopped to consider which direction she would move in, she put plenty of emphasis on personal connection, but of course, this side is not short on experience or guile. “Well since it is my team and I can choose them, I would select them for some important, concrete reason in my life. 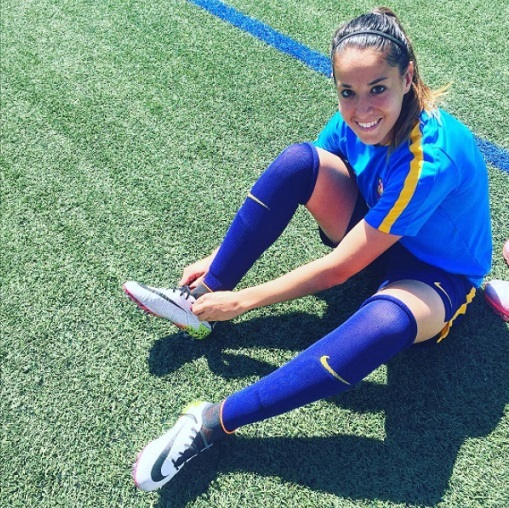 (Goalkeeper) Sandra Paños (Barcelona and Spain) – because she is my best friend. “(Defender) Maider Castillo (ex-Levante and Spain) – because she was a great support for me in Valencia. 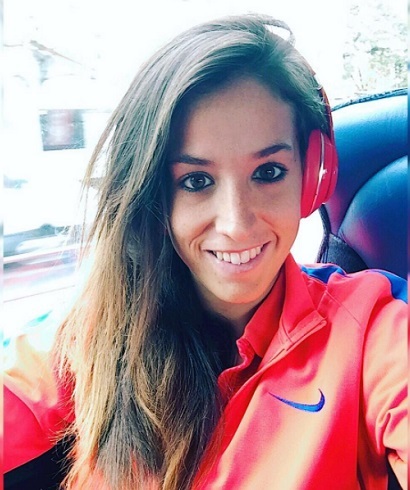 (Midfielder) Alba Merino (Levante) – because I laugh a lot with her. You can also like the Facebook page and stay up to date!